Freeze was the one and only magazine supported electronic dance music from 1999 in Greece. Owner also of IT Record shop in Athens till 2014 a record shop that marked Athenian scene with the exclusivities and events. He was also the organiser of the first Downtempo ambient festival in Europe Island of Fire in The Island of Lemnos with acts like: Kay Nakayama, Youth, Abakus, Aes Dana, Solar Fields , Kenji Williams and more. 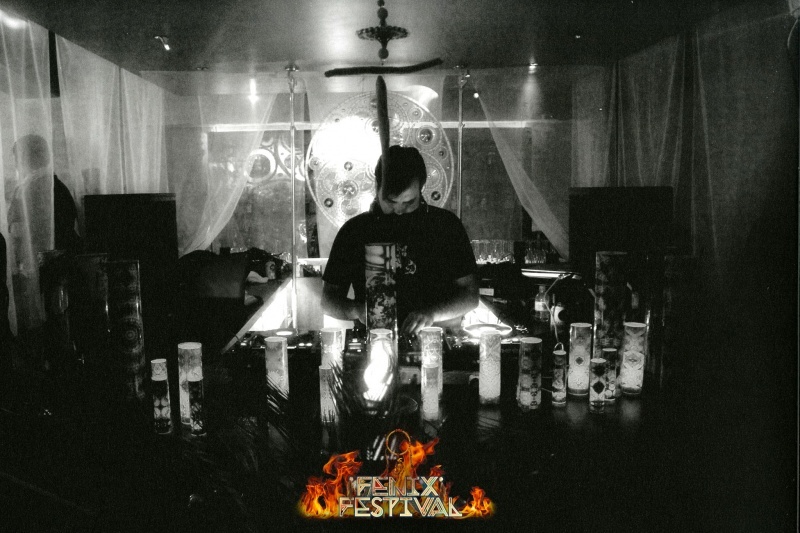 He was a Member and dj of Ultimae Records untill May 2014. He creates unusual mixes of electronic music with a melancholic mood and mesmerizes the crowds with sounds of ambient, IDM, acoustic music, sometimes breaks and downtempo trance taking them on a original journey for mind and ears. Frequent guest at the Mahamaya restaurant in Bern / Switzerland for whom he compiled the Mahamaya series compilations in 2009, Fishimself also performed at many festivals such as Sonica Reloaded / Italy, Source Festival / Malta, the InSpiral Lounge / UK and Magnet in Turkey / Tree of Life /Lost Theory/Hadra/Synergy U.K. / Dakini Festival Romania / Sun Festival Hungary / Aurora Festival / Free Earth and many others . He is also known for his work as Stage and Booking Manager in Festivals like / Blackmoon Italy / Tree of Life / S.U.N / and Earthcore Festival. 2015 and 2016 finds Him playing in Tokyo club Bonobo and Mind of Vision festival, he is also member of the great ZNA Gathering festival organization family alongiside with the legends of true goa psy trance. ...The things is now I am a Grandfather - yes I know my age does not shows that but I am. So the newest thing and most important at the moment is this. Music wise is the industrial scene of the late 80’s and 90’s - if you mean in life inspiration is the good hearted people. I will bring me deep deep melancholic electronica downtempo garden that I have in my soul. First of all Czech country land is Fantastic! Do not know much lately - in the past because I am a retro goa trance person I know that sangeet built up part of the scene. I just love the fish. Fire is dangerous has a soul but at the same time healing energy. My greatest success is my family. With my lovely wife Vanta taking a coffee and Aes Dana playing. …Věci se mají tak, že jsem dědečkem – ano, vím že můj věk tomu nenasvědčuje, ale jsem. To je momentálně nejnovější a nejdůležitější věc v mém životě. Co se týče hudby, je to industriální scéna pozdních osmdesátých a devadesátých let. Pokud myslíte životní inspiraci, pak jsou to lidé s dobrým srdcem. Přinesu svou hlubokou hlubokou melancholickou zahradu elektronického downtempa, kterou mám ve své duši. Tak především, Česká země je úžasná! Oheň je nebezpečný, má duši, ale zároveň léčivou energii. Mým největším úspěchem je má rodina. Dávám si ranní kávu s mou drahou ženou Vantou zatímco hraje Aes Dana.